Why do children and teens should make 'Summer Camps' part of their lives? Most kids spend their summer vacation in summer camps. The parents send their kids in camps usually for the whole duration of the summer. It's practically becoming more and more popular across the globe. There are many different reasons why children and teens make summer camp a part of their lives each year and we thought it would be useful to list a few here. Camps offer a wide range of games and activities that aren't available at your local sports centre or park. Children and teens might try archery, pottery, dance, high ropes courses, quad biking and a hundred other fun activities. Staying home and doing everyday things can be boring so camp widens the possibilities and opportunities to have fun and learn new skills. Do you have a budding artist in the family? 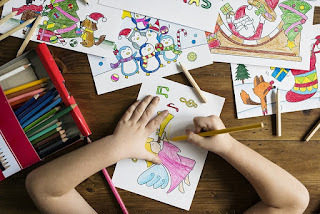 Does your son or daughter love to draw or paint? Does he constantly pester you for coloring books or art materials? If so, encourage them to continue what he or she is doing. Those meaningless scribbles might be the start of a bright future. 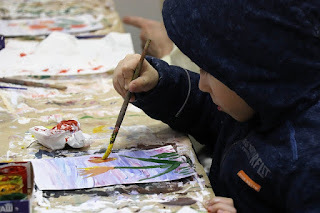 Your kid might not become another M. F. Husain or Amrita Sher-Gil but he or she will surely benefit from a good art education. Unknown to many, a strong art education is important, as it helps children develop skills that they need to be successful in life. Among the many benefits of art education are self-directed learning, improved school attendance and better creative skills. Recent studies have shown that the creativity and innovation used in the artistic process are highly valued by employers. How can parents and teachers keep the love of learning alive in students and children? Every parent and teacher knows there is nothing as annoying as dealing with a young person who refuses to learn. What is more sad to observe, than a young one who rolls his or her eyes and clams up at the mention of an academic subject? First of all, learning should start early and never be restricted to the walls of the classroom. Parents, who test their children with good books, hands-on-projects and fun learning games, put their children into the field of learning early. These kinds of parents show that learning can be fun. Research always shows, that the more fun a learner has, the more easily the subject matter will be remembered. In order to continue the good study habits as long as possible, the habits should be developed in their young age establish to begin with. It's never too early to set up your child to positive study habits, which will repayment his or her actions throughout life. As parents, useful techniques must be studied in order to further the development of our children. Developing well established study habits for a child begins with parents. Just like the old adage, "it's not what you say, it's what you conduct." 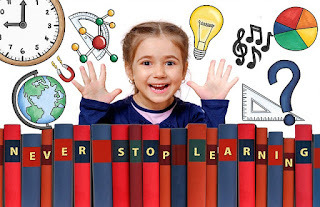 Well established study habits should begin at a very young age; when a child is one to two years of age, he or she is ready to begin training in acquiring well established study habits. The initial lessons begin with his or her observing parents at work modelling well established study habits. Parents are always looking for a better way to support with the education of their children. To encourage children, parents must first be motivated to help their children learn. The few strategies provided here is a good start to make sure that children successfully operate the educational system. Reading- Parents should start reading for their children at a very early age. Reading should be motivated all times. Children should have a library card and visit books stores on a frequent schedule. Parents can have children learn a poem or a small speech to help keep their mind sharp and ready for reading. 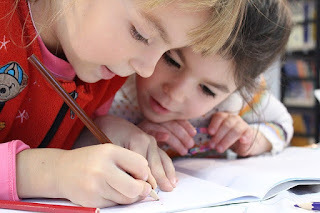 Homework- A homework timetable should be developed for children, including what time to do homework each day, how much time should be devoted to homework each day and where in the house to do homework. In addition, if the school doesn't provide a homework assignment on any given day then the parent should develop homework assignments. Reading is always suitable for homework. Being a parent is not an easy job especially when given the fact that you have to try to provide your child with the best all the time. On the other hand, society is demanding a lot from the young people and the pressure for achievement on them is vast. This is especially related to education - the school programs are tougher than ever before and the children are expected to do much more work in order to be successful in life. In such a condition it is only natural for parents to want to help their kids beneficially so that they can make the most out of the chance for education they are given. 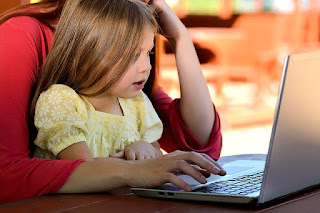 Parents want to help their children in any way they can, but sometimes it is hard to know how to best help when they get easily irritated with homework and are possibly stressed in school. 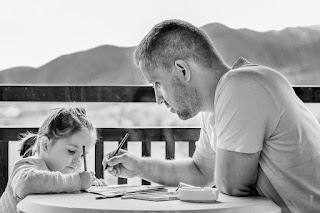 Here are some helpful tips on how to best get your child occupied and to make homework feel like less of a task, while also being helpful and beneficial for your child's learning and understanding. 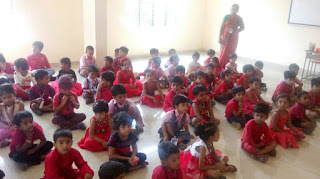 Primary school forms a very important stage of a child's development. As such it is important that teachers and parents do all they can to make sure that their children get the best out of this time so that they can develop to their full potential. One way that this can be encouraged is through using primary Schoolrhymes as teaching resources. Songs for children can have a variety of benefits and different ones can help with different things. Some may be a bit of fun and encourage participation while others can role as an active memory support to help children retain information or learn by association.